All Jolene Carter has ever wanted is to own a bakery of her own. There’s only one problem. Her father, Robert Carter, is a world-renowned art thief and she’s, well, sort of his protégé. 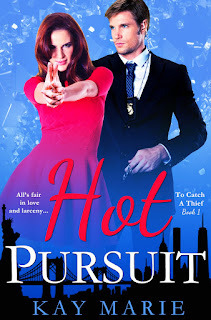 But he’s promised her that this next job in New York will be their last, and she won’t let anyone get in the way of her dreams…especially not the distractingly delicious FBI agent hot on her tail. Agent Nate Parker has been on the Robert Carter case for years, and if the rumors of the aging criminal’s retirement are true, this might be his last chance to nail him. With the legacy of his late father in the back of his mind, the stakes are more personal than anyone realizes. He won’t let anything stand in the way of justice…especially not the red-headed vixen who keeps giving him the slip. 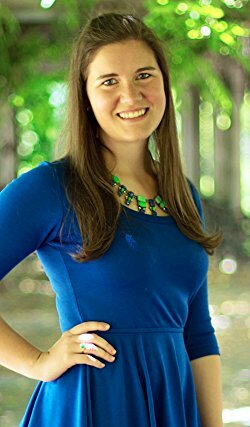 Kaitlyn Davis, a bestselling author with over a quarter of a million books sold, writes young adult fantasy novels under the name Kaitlyn Davis and contemporary romance novels under the name Kay Marie. Publishers Weekly has said, "Davis writes with confidence and poise," while USA Today has recommended her work as "must-read romance."